Arcadia is only located 13 miles northeast of downtown Los Angeles, but it could be miles farther away. 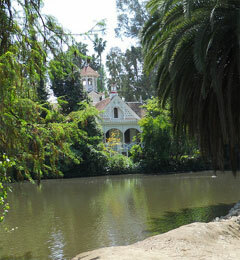 The city houses the Los Angeles County Arboretum and Botanic Gardens which is a sprawling complex of many plants and birds. The Arcadia attraction is a huge draw for many people who live all over the state that come to see the giant bamboo forests and imported trees and plants. If you are facing legal troubled in Arcadia, there are many Arcadia lawyers who are available to help you out. These attorneys can provide you assistance in many areas of law including tax, business, contracts, personal injury, divorce, DUI, employment discrimination, sexual harassment, criminal defense, and more. An Arcadia fire fighting equipment supply company is suing the city and county of Los Angeles claiming that the contract process for supplying breathing apparatus to all the firefighters in the county was improperly handled. The company is claiming that the process was so fundamentally flawed that despite having input from thirty two individual firefighters, only two people made the decision on which company to award the contract to. The $30 million contract was awarded to one of the Arcadia company’s competitors. The judge hearing the case recently issued an order that suspended the county from paying any of the contract price to the other company until the resolution of the lawsuit. If you have a lawsuit in Arcadia, you will likely have to report to one of the divisions of the Superior Court of California, County of Los Angeles. This is the largest of the trial courts in the state, and it is important to have a lawyer who is comfortable in this setting. The local Arcadia lawyers who regularly practice there fit the bill. When you are ready to find your legal representation in Arcadia, LegalMatch is here to help. We offer you a free online service that can match you up with attorneys in your area that have experience with the laws surrounding your case. Additionally, while you are at our site, you can check out our LegalCenter where you can read about popular legal topics and get helpful tricks and hints.